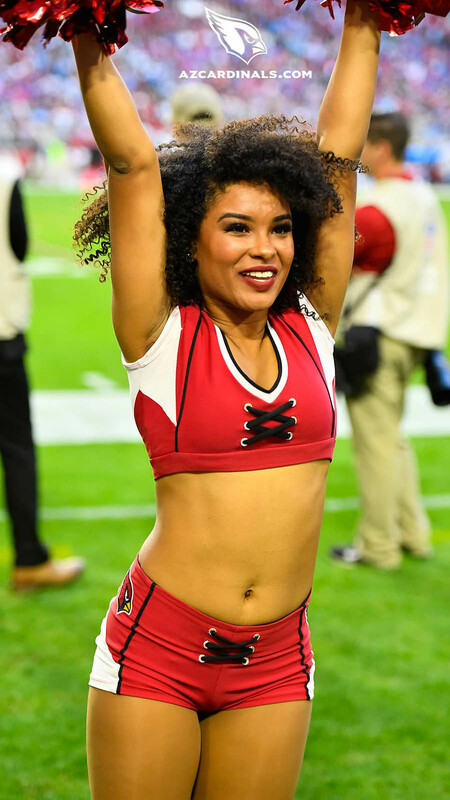 The Arizona Cardinals have announced third year veteran Brittni as their 2019 Pro Bowl Cheerleader. 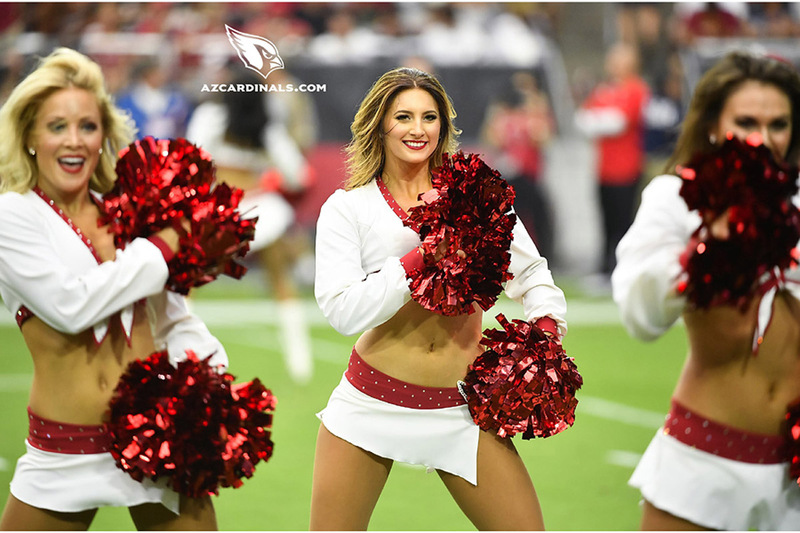 Our parade of NFL cheerleaders continues with the latest images of the Arizona Cardinals Cheerleaders from Week 16. Click here to view the Cardinals gallery of images. The Arizona Cardinals lost last week to the Detroit Lions, 17 – 3, but in many ways, the Cardinals outplayed the Lions. They held the Lions to 218 yards. They held Matthew Stafford to 101 passing yards. They had more first downs than the Lions. They had more time of possession than the Lions. Yet the Lions prevailed. Football is a strange game. 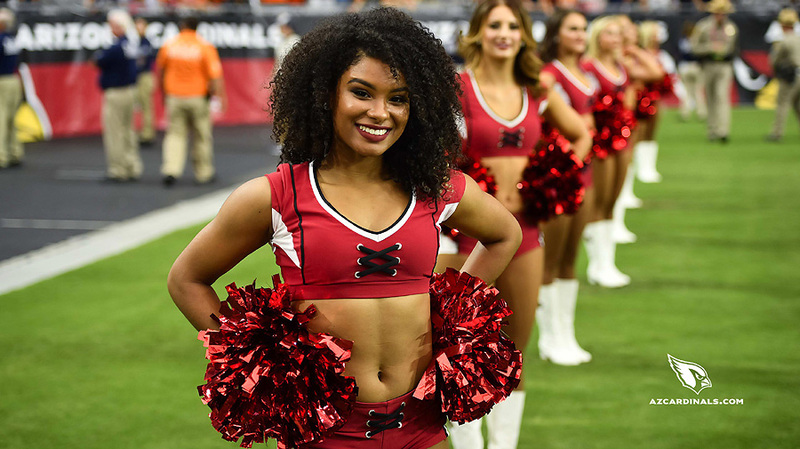 Let’s turn our attention to the Arizona Cardinals Cheerleaders and look at this week’s photos. Click here to view the Cardinals gallery from Week 14. The Cardinals lost a close one against the Oakland Raiders, but I suppose we should look at the bright side. Rookie QB Josh Rosen had his moments, passing for three touchdowns, but he still was under the gun to much and threw two interceptions. One an only imagine how he would do if he had a decent offensive line to pass block for him. Oh well…Raiders win, 23 – 21. 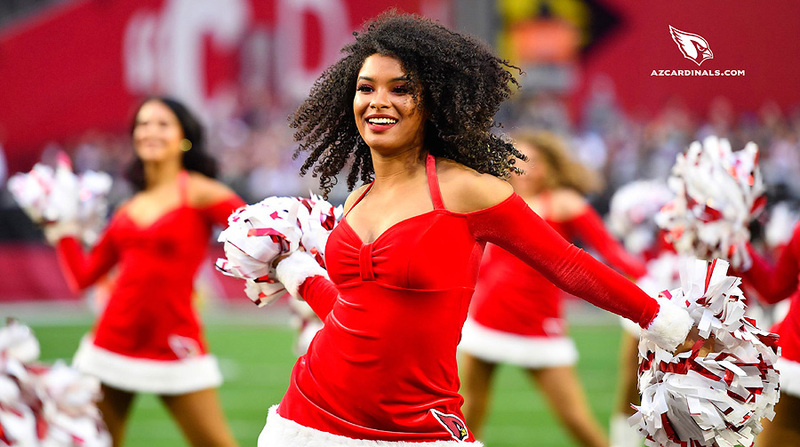 Let’s turn our attention to this week’s Arizona Cardinals Cheerleaders images. They were wearing special patriotic themed uniforms that were sure to put a smile on your face. Click here to view this week’s gallery of images. The Arizona Cardinals battled the visiting San Francisco 49ers in a game between two rebuilding teams. A low scoring affair, the game came down to the last minute where Arizona’s rookie quarterback showed the reason why the Cardinals drafted him so high. Josh Rosen steadily moved the Cardinals down the field and threw a 9 yard touchdown pass to Christian Kirk with 34 seconds left for the victory. Final score, Cardinals – 18, 49ers – 15. It was an ugly win, but a win is a win and for the Arizona Cardinals this win is a step in the right direction. So there is reason for hope in the Valley of the Sun. Who knows, with a few more play makers and a new offensive line, this team may be competitive in the near future. 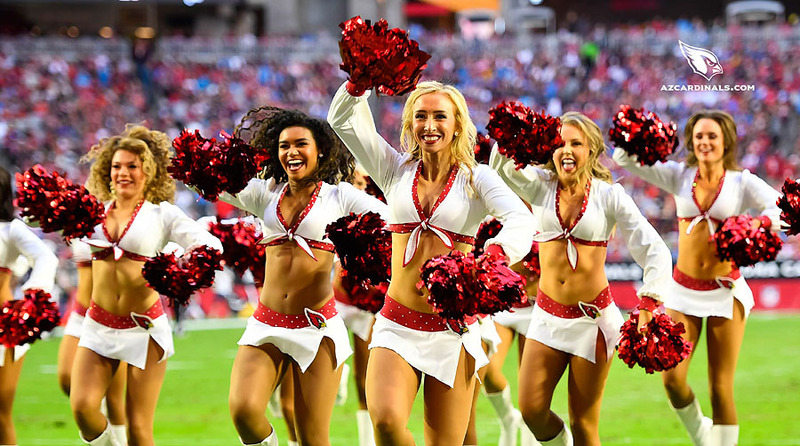 Let’s take a look at this weeks Arizona Cardinals Cheerleaders images. Click here to the Cardinals gae day gallery of images. The Denver Broncos and the Arizona Cardinals are two teams that began the season much the same way, with new challenges, new questions, and several new faces. After seven weeks, the Denver Broncos appear to be a little further along on the rebuilding process, having found a run game though they may be still searching for a permanent solution at quarterback. The jury is still out on Case Keenum. With respect to the Cardinals, they have found their answer at quarterback…they just need to keep him on his feet and maybe provide him with more than three seconds to go through his progression. There are other questions that need to be answered, other positions that need to be filled. Many more. 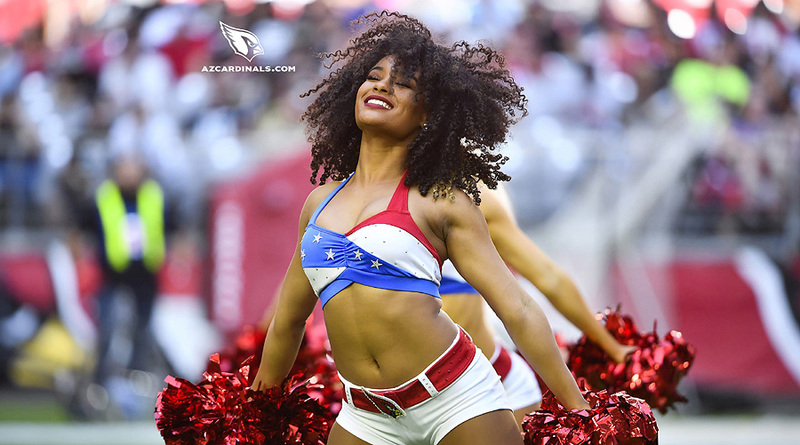 That disparity between the two teams was evident this past Sunday where the Broncos handed the Cardinals a decisive loss, thoroughly overwhelming the Cardinals offensive line and pressuring Josh Rosen into three interceptions and two lost fumbles. The final score: Broncos – 45, Cardinals – 10. 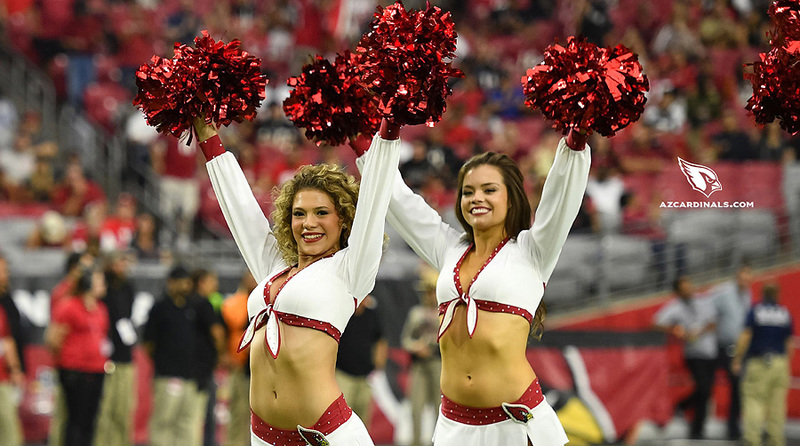 Let’s turn our attention to something more positive…the amazing Arizona Cardinals Cheerleaders. Click here to view a nice gallery of images from the game. Week 4 saw the Seattle Seahawks battle their division rival, the Arizona Cardinals, in a important game for the heart and soul of each team. It is unlikely that anyone in the division will overtake the Los Angeles Rams; they are the class of the conference and will most likely be the only team from the NFC West to make it to the playoffs. For the remaining teams, what’s at stake is their future development in becoming playoff relevant. The Seahawks were contenders as recently as two years ago, but the roster of talented players has turned over and have gutted the once formidable Super Bowl particpant. As for the Arizona Cardinals, well they are in full rebuild mode with a new coaching staff and a new rookie starting quarterback, so for them this game is one small step to becoming the team they hope they can be…but that will be a long journey. Once again, this game was a very close one…an exciting contest that came down to a last second field goal to decide it. 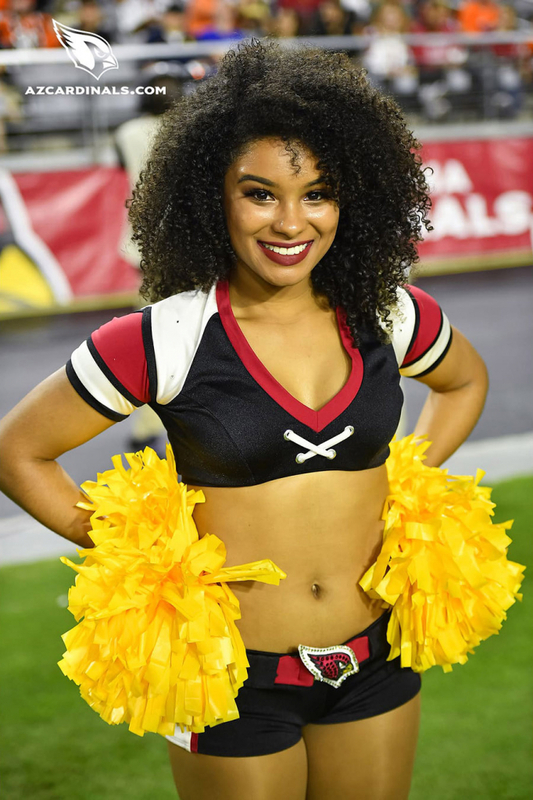 Unfortunately for the home town fans, the team that scored the winning kick was the Seattle Seahawks, but Cardinals fans should be encouraged because their first time starting rookie quarterback Josh Rosen acquitted himself well. 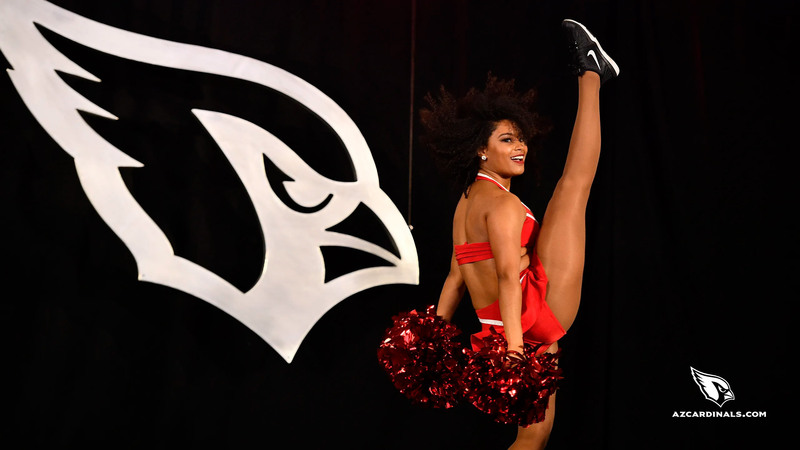 So on to the photographs of the Arizona Cardinals Cheerleaders. 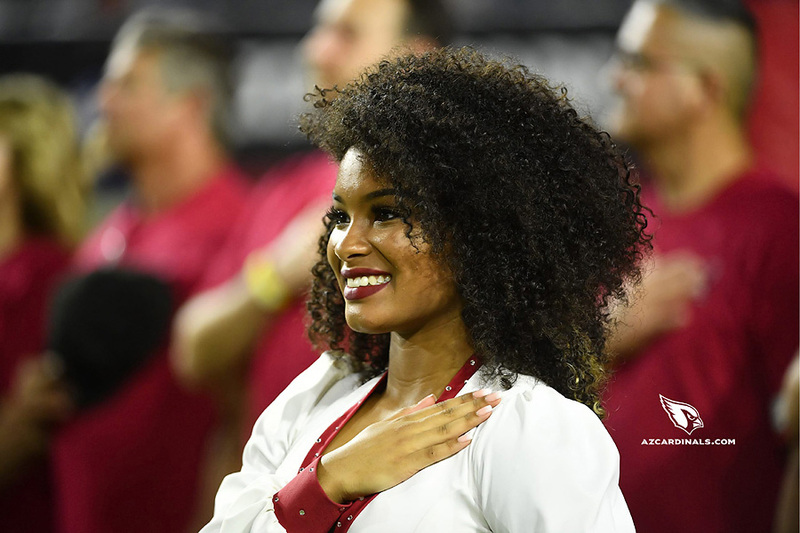 The Cardinals posted a nice gallery of images from game day. Click here to view the gallery. It’s rebuilding time in the Valley of the Sun. 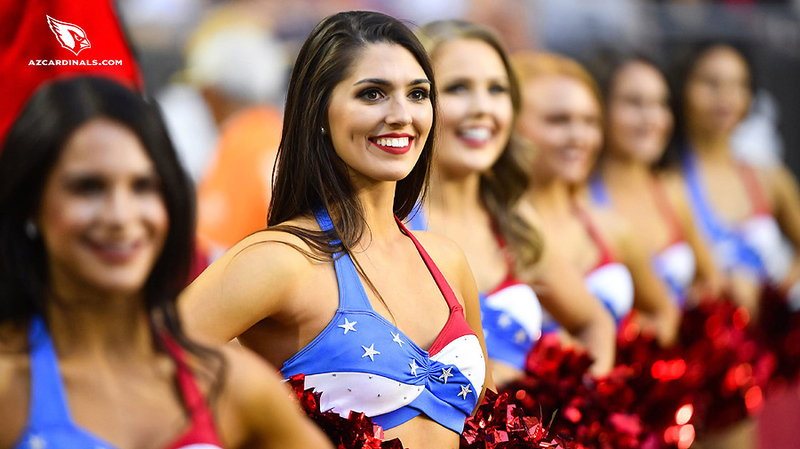 Last week’s game against the Chicago Bears was a watershed moment for the Cardinals as QB Sam Bradford’s continued ineffectiveness led to his benching and the debut of talented rookie signal caller Josh Rosen. With the game on the line, Rosen showed that he was not ready for prime time as the two series that he helmed went for naught and the Cardinals lost their third consecutive game to start the season. Here’s a telling statistic: the Cardinals have only had two red zone opportunities this entire season. Well, this was supposed to be a season of change with new head coach, new offense, and a new starting quarterback. 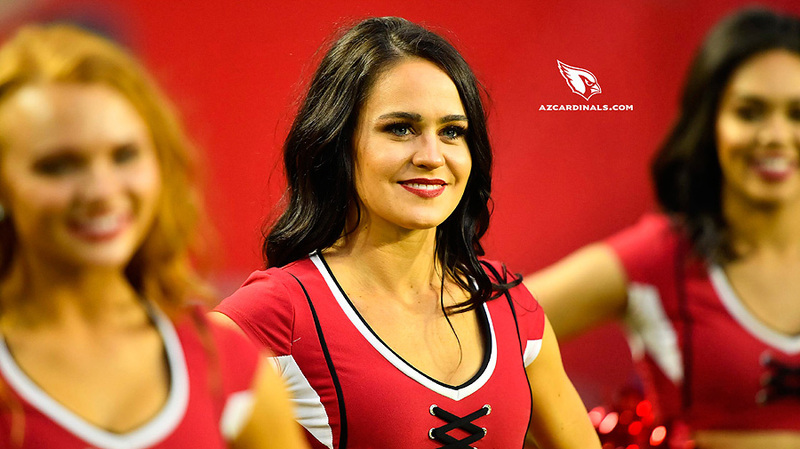 Be patient Cardinals fans, good things are on the horizon…until then, be content in knowing that you still have the Arizona Cardinals Cheerleaders to keep your spirits up. 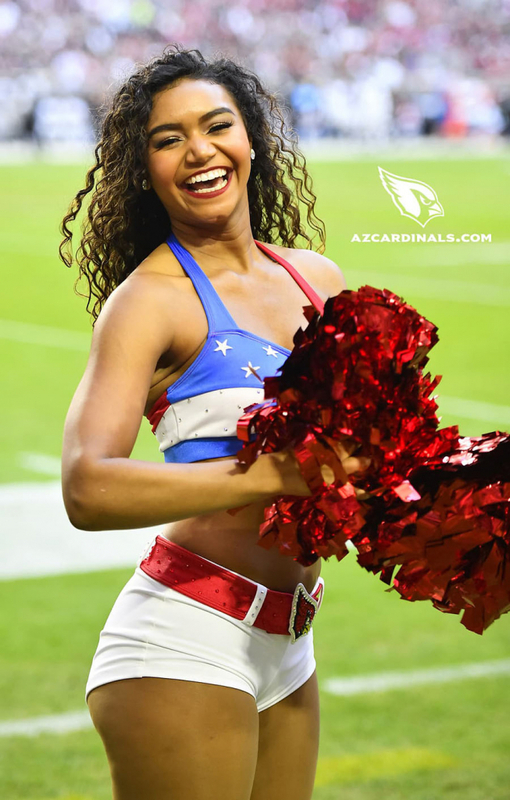 For you fans that weren’t in attendance, click here to view the Cardinals game day gallery. 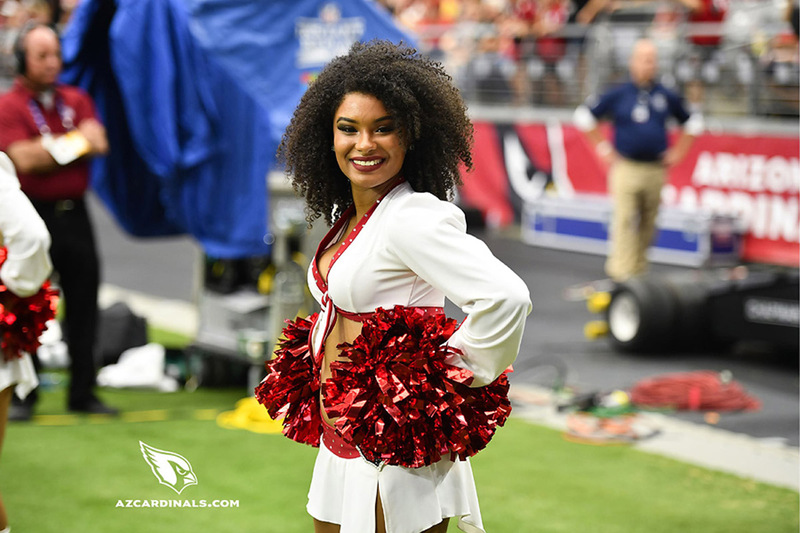 We continue our coverage of Week 1 of the NFL regular season with the Arizona Cardinals, who hosted the Washington Redskins. On paper, this was an interesting match up with two teams that were starting new, high priced free agent QBs and a host of other new faces, so it was hard to predict how both teams would fare. Well we seem to have our answer. The Redskins seem to have made the right off season moves with the acquisition of QB Alex Smith and veteran RB Adrian Petersen. Both players performed surprisingly well against the home team. As for the Cardinals…well they are more of a work in progress. Nothing seemed to click for the red birds on both offense and defense as they surrendered 24 points and scored only 6 points in garbage time. They say NFL teams make the most improvement between the first and second game, so there’s reason for optimism. 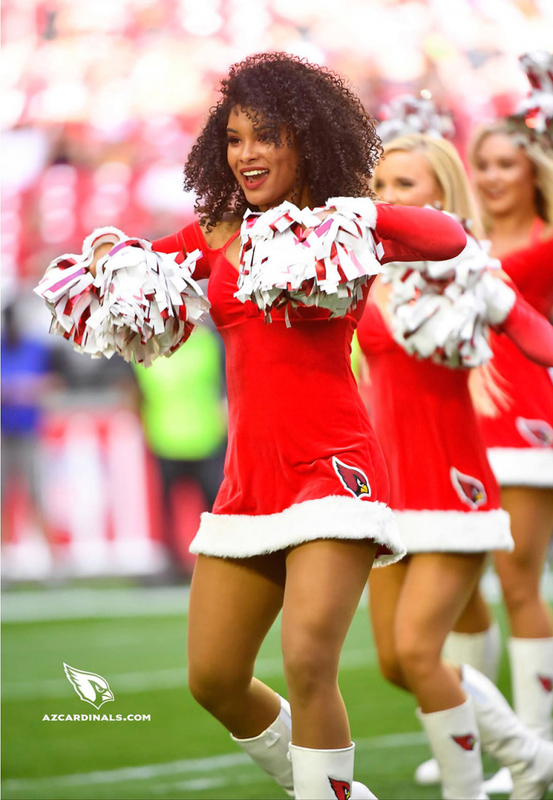 Another reason for optimism…the 2018 Arizona Cardinals Cheerleaders. 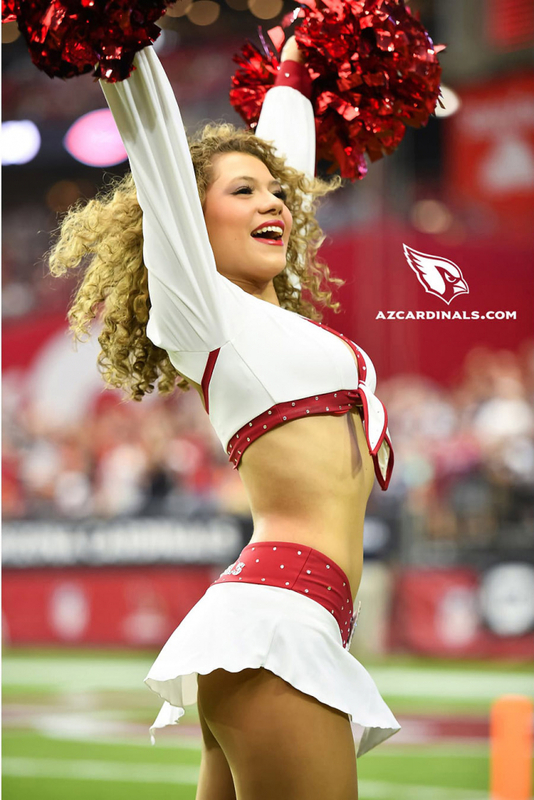 Click here to view the Cardinals’ game day gallery. 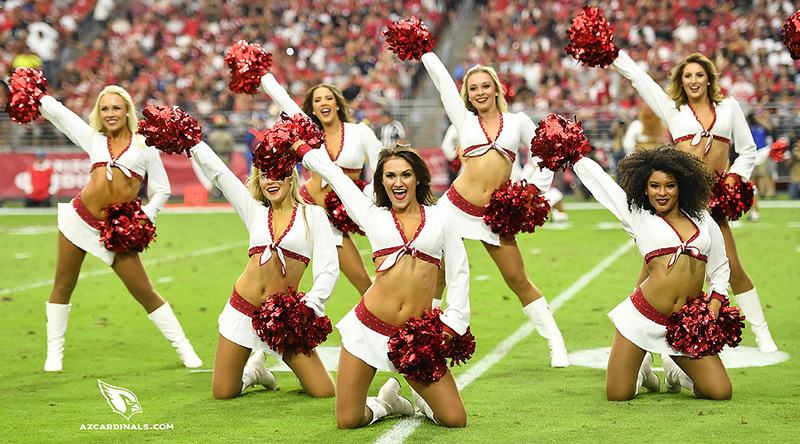 We continue our coverage of Week 4 of the NFL Preseason with the Arizona Cardinals Cheerleaders. Click here to view their game day gallery. 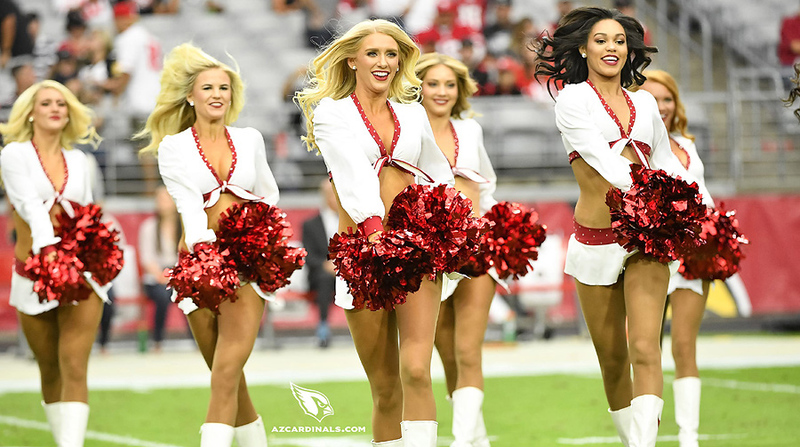 Our next 2018 P-R-O Convention All Star is from Arizona Cardinals Cheerleaders. 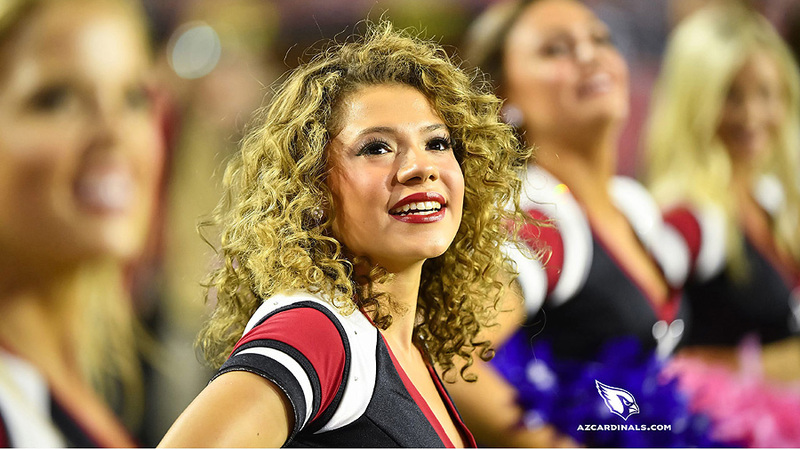 She is a four year member of the University of Utah Dance Team and a first yer member of the AZCC. 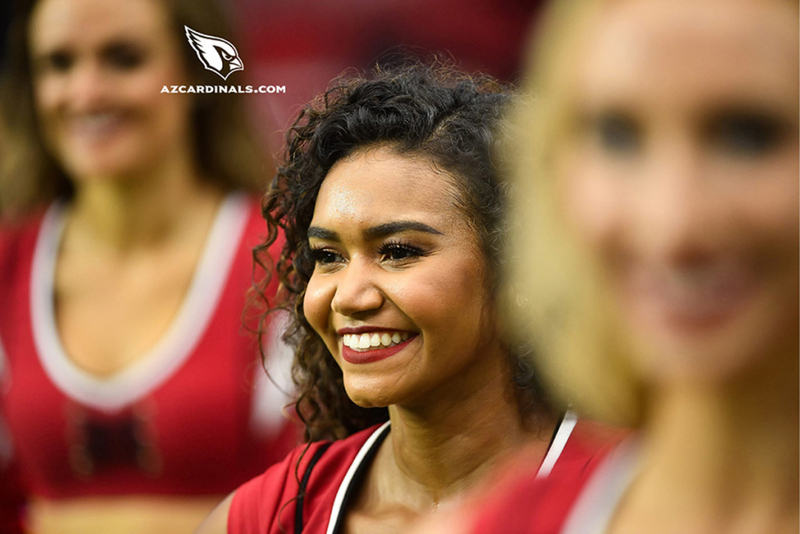 She was also one of the freshest faces at the convention, introducing Arizona Cardinals Cheerleader Mykell, our latest 2018 P-R-O Convention All Star. 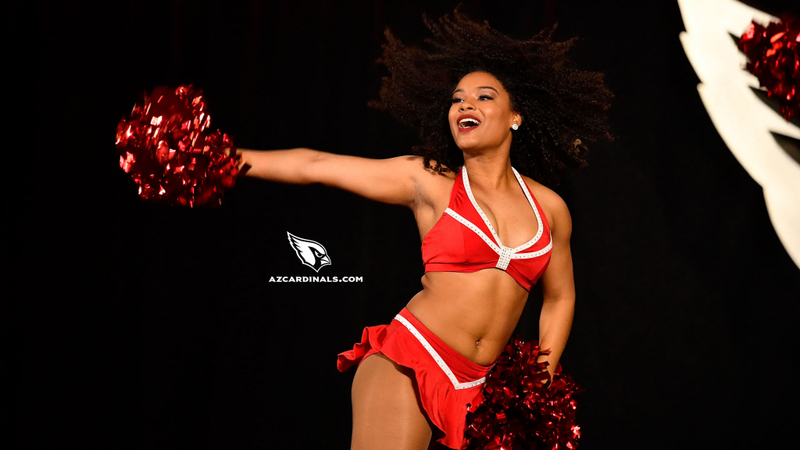 There were over 250 beautiful professional cheerleaders at the convention and we have a few more girls to feature.  Check back tomorrow to see who is our next 2018 P-R-O Convention All Star and for more cheerleader articles and photos, please visit my personal blog: thehottestdanceteam.wordpress.com.